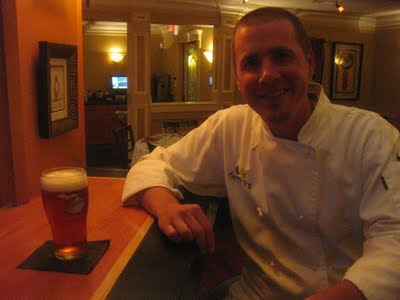 Chef Doug is planning another masterpiece of cuisine and Michigan beer. Chef Doug Hewitt has released some details for the August 17 "Beer vs. Wine Dinner" in Dexter to commemorate Terry B's Restaurant & Bar's five years in business. There will be five courses, each paired with a Michigan beer and a wine, and guests will have a chance to vote on their favorite pairings. I don't have any information on the wines, but since you're reading a beer blog, you don't really care, right? Cost for the dinner is $65 per person and seating is limited. Email Terry B's or call 734-426-3727 to reserve.